The best banana cake that was moist and came out beautiful. As you might notice, I have baked banana cake regularly be it plain, contains fruit or chocolate ones and now adding another fantastic recipe called Perfect Banana Cake. 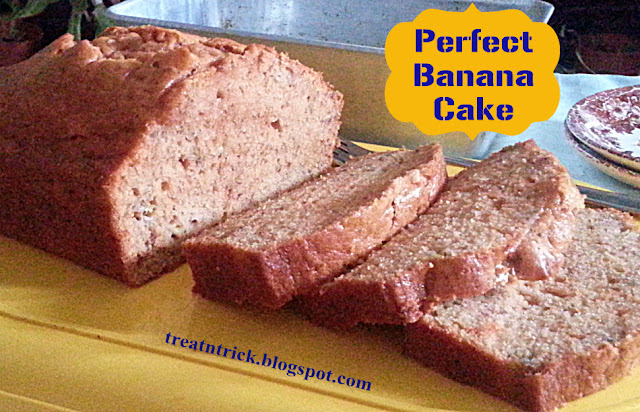 Full banana flavor, so moist, just the right amount of sweetness and the easiest to make. 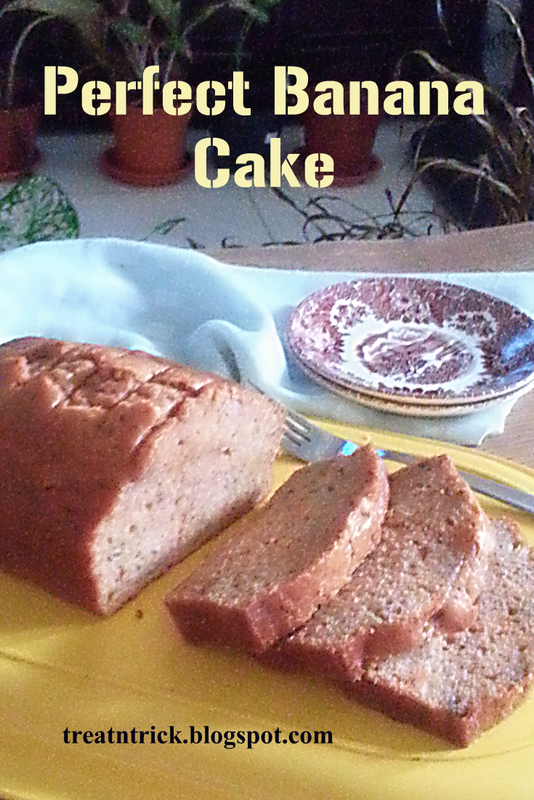 Perfect Banana Cake was baked using varied temperature. At first, I baked at 180 C for 15 minutes on the lowest rack then transfer the pan to sit on middle rack for 45 minutes or until a skewer inserted comes out clean. Baked the cake on lowest rack since I love the bottom to be well browned. A soft and wonderful cake loaded with cream cheese and eggs cooked in a hot water bath method. 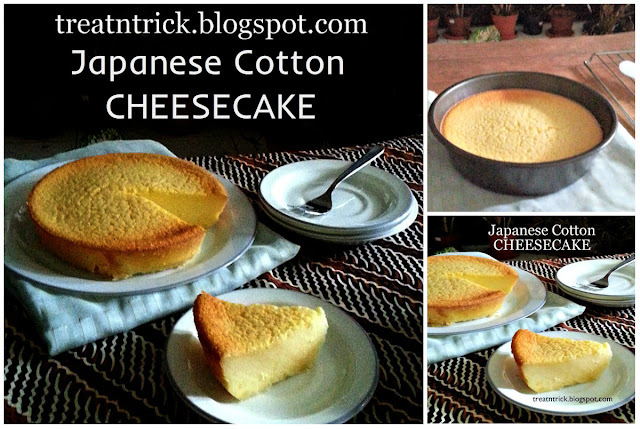 After my successful attempt in making Butter Cheesecake, am eager to try this Japanese Cotton Cheesecake recipe. It uses egg separation method and bakes in hot water bath. This procedure ensures a gentle and uniform heat around the food. It is much easier to separate an egg if it is chilled as it was slightly thicker than a regular egg. My project to make Japanese Cotton Cheesecake went smoothly but I have one small problem though. My cake top did not turn golden brown as done by others but the edges do despite shifting the pan on the top rack. Don't understand why this happens? 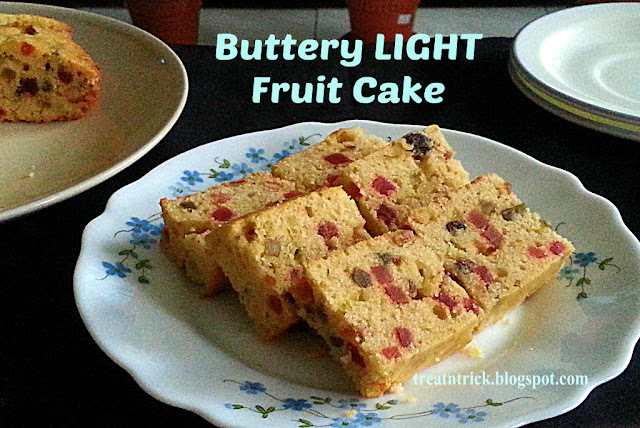 This cake baked up wonderful, no air bubbles in the cake, has a good taste and quality. Everyone asked for a second slice. 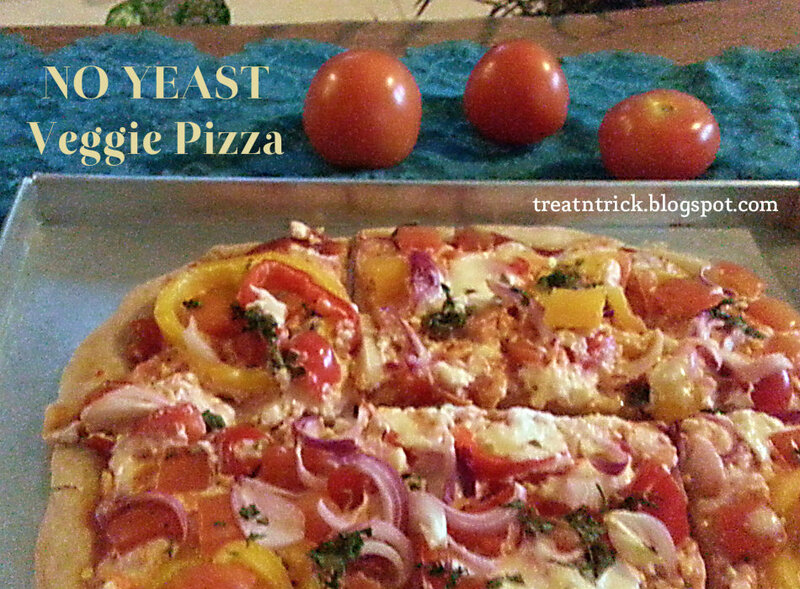 This pizza contains no yeast but loaded with fresh vegetables and cheese sauce. We are yearning to eat pizza after such a long gap. I opted for No Yeast Veggie Pizza to avoid waiting time for yeast ones. 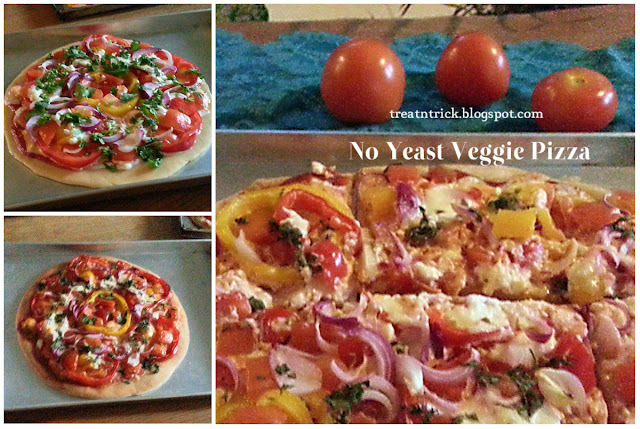 You can add other veggies of your choice other than capsicum and tomato that I have chosen. The star of this No Yeast Veggie Pizza was the cheese sauce, it has a wonderful flavor that improve the overall taste of the pizza. 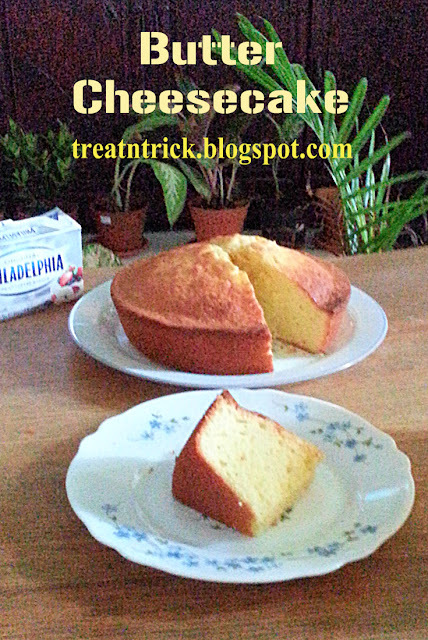 This is our new favorite, it combines cream cheese and butter that produces a wonderful cake. 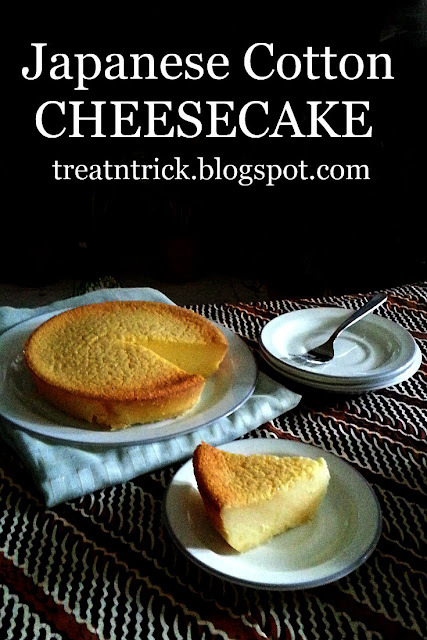 Have bookmarked a few of cheese cake recipes to try out. Am trying this Butter Cheese Cake that I have discovered while browsing on Facebook. 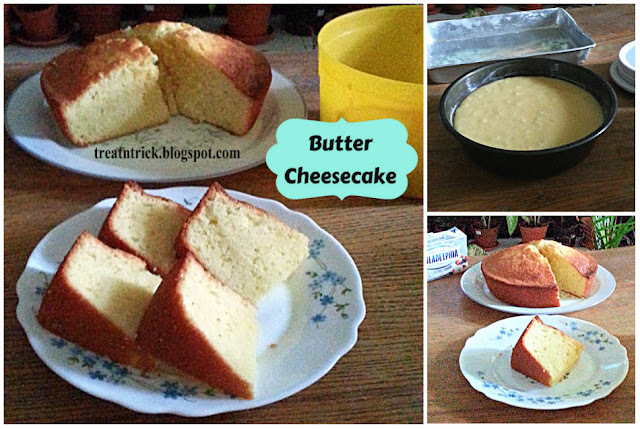 Butter Cheesecake recipe was simple to make using egg separation method. . If you are serving a small family of 2-3, I would suggest you half the recipe unless you intend to share with others. The cold butter and cream cheese can be cubed to fasten the creaming process. This Butter Cheesecake is our favorite cheesecake recipe and it is one of the easiest to make! Another butter cake project that has 3 color and swirled to get a marbling effect. We're just entering a new year and I like to dedicate this post to my wonderful readers. Wishing you a Healthy and Prosperous New Year! 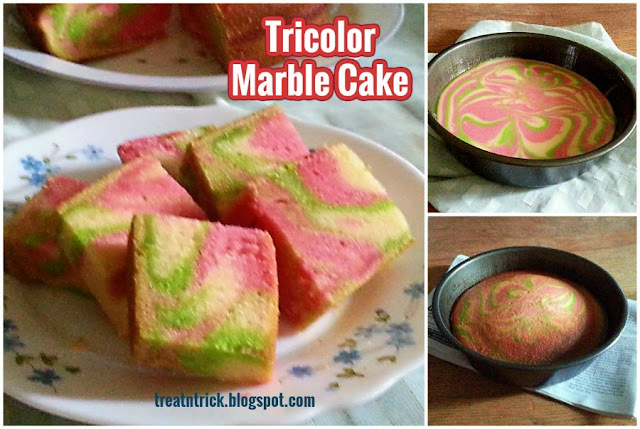 This Tricolor Marble Cake made of 3 colors, green, red and plain. Not only colors but you can add any flavoring like strawberry, coffee, blueberry, pandan or lemon that suits the color of your choice. I don't have those so added only food coloring. 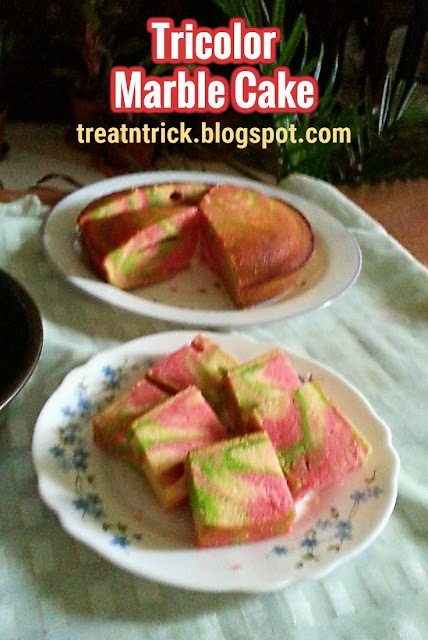 My Tricolor Marble Cake turned faint in color since I have used only 2 drops of the food coloring. I think you should add little bit more to get vivid color. Nevertheless it turned out rich, moist and delightful.